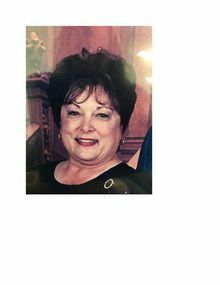 Patricia Lee Mudrich passed away peacefully surrounded by her family on February 5, 2019, in Half Moon Bay California at the age of 77. Patricia is survived by her Husband Leo Mudrich, her sister Tanya Ballard Melo, her daughter's Michelle Maraviglia (Sean Maraviglia), and Tammy Von Almen (Brian Von Almen). Her adoring grandson's Marc Baker, Travis and Hayden Von Almen, and Justin and Lane Maraviglia, her great grandson Nathan Von Almen, and daughter's in-law Karen Baker, and Toby Von Almen. Patricia was born on September 23, 1941 in Pacific Grove California to parents Walt Ballard and Agnus Jepsen. Patricia was a graduate of the class of 1959 at Half Moon Bay High. She enjoyed spending time with her family, her husband of 57 years and her love of cooking. Patricia will be greatly missed. A celebration of life service to follow in the spring, in lieu of flowers, please send donations to the Kidney Cancer Foundation.